Perennially on the hunt for a lasting and bankable hit formula, ­Bollywood is shuffling through time to make hist­oricals and ­quasi-­historicals. While some of these periodicals are realistic, ­others are purely apocryphal, with film­makers occasionally locking horns over the same plot from the near and distant past. With run-of-the-mill flicks faltering at the box office left, right and centre, nostalgia is the new staple in B-town these days. Little-known tales of the triumph of human will in the face of enormous adversity, buried for long in the annals of history or in the dusty archives of old newspapers, are being lapped up by top stars desperate to get out of the formul­aic rut in keeping with the changing taste of a millennial-audience. From Sikhs ­battling Afghans in 1897 to the 1998 nuclear tests, history is being chronicled fast and ­furiously on celluloid. From the exploits of a phalanx of ­intrepid Sikh soldiers in a war against the marauding Afghans towards the fag end of the 19th century, to a saga of grit and adventure woven around the 1998 nuclear test at Pokhran almost a cent­ury later, dramatic episodes from bygone eras are being chronicled fast and furiously on celluloid now. This week’s big release, Milan Luthria’s Baadshaho, is set during Emergency in the mid-seventies. The Ajay Devgn-starrer has drawn heavily from an ‘event’ wildly speculated about—an army raid on the Jaigarh fort in Jaipur to dig out a treasure trove, rumoured to have been buried there since the time of Sawai Man Singh, the trusted Rajput general of Mughal emperor Akbar. The raid against the former Jaipur monarchy, rumoured to have been underta­ken by the troops at the ­directive of the then prime minister Indira Gandhi, is ­apparently the inspiration ­behind the plot. But then, such is the surge in the ­demand for historicals that often the same plot is tempting more than one producer. 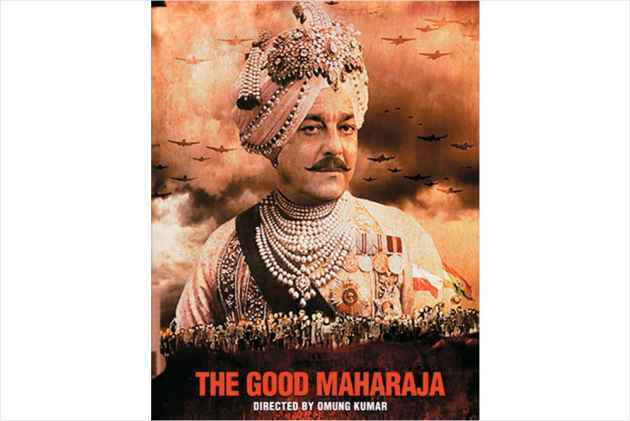 Omung Kumar, Mary Kom’s (2014) director, has already unveiled the poster of his next film, The Good Maharaja, with Sunjay Dutt playing the eponymous role of Maharaja Jam Sahib Digvijaysinhji Ranjitsinhji, the erstwhile ruler of the princely state of Nawanagar. And he is not alone—Ashutosh Gowariker is already in the process of making a film on the same king. What has, of course, prompted two prominent film-makers to work on the same subject is the extra­ordinary life of the Maharaja, who had provided shelter to 640 abandoned Polish children during the World War II. This is, however, not the solitary plot to have spurred a race among filmmakers. At least three stars or directors have evinced interest in the Battle of Saraga­rhi, which was fought between 21 Sikh soldiers and a 10,000-strong Afg­han tribal army way back in 1897. Sensing tremendous potential in the war story, Ajay Devgn was the first to announce a film, Sons of Sardaar, by releasing its poster last year. It was revealed shortly afterwards that Karan Johar and Salman Khan had also collaborated to produce a film on the same theme with Akshay Kumar in the lead. Though the Dabangg star is said to have withdrawn from the project since then because of his “good friend” Devgn, Akshay and Johar­ are all set to make Kesar on the same theme. Int­erestingly, away from this high-profile scuffle for Saragarhi, director Raj Kumar Santoshi is also quietly working on a similar plot with Randeep Hooda. But history can be a contentious topic. Mohan, editor of Complete Cinema cautions the film-makers against distorting history in the name of cinematic licence. “Many of them take liberties with the facts. It should not happen beyond a point,” he says. Several film-makers whose recent ­releases were based on true events have been accused precisely of that. 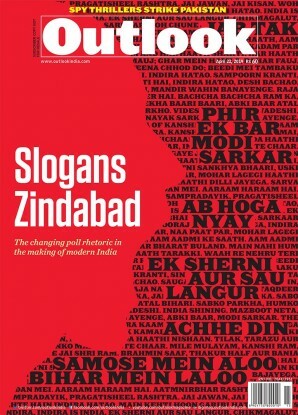 Madhur Bhandarkar chose to mix facts with ­fiction liberally in his recent release Indu Sarkar, which was also set against the Emergency, only to meet with widespread protests by Congressmen who accused the National Award-winning director of inaccurate portrayals of ­Indira Gandhi and her son, Sanjay ­Gandhi, in the film. The descendants of Maharaja ­Duleep Singh also moved the Delhi High Court against the makers of The Black Prince, a multilingual biopic directed by Kavi Raj on the last emperor of the Sikh kingdom of Lahore, accusing them of having misrepresented the character of the 19th century king. Gurinder Chadha, of Bend It Like Beckham (2002) fame, also had her fair share of brickbats when she tried to take a fresh look at the Partition in Viceroy’s House, a historical ­drama set in the last days of the British in ­India, which was released last month in Hindi as 1947: Partition. Nonetheless, controversies or lawsuits have seldom deterred film-makers. Take for instance Sanjay Leela Bhansali, whose next ­historical, Padmavati, elicited violent protests during its shooting in Jaipur earlier this year. As of now, contemporary history is inc­reasingly proving to be a rich site for film-makers to choose from. John Abraham’s latest ongoing project is a film called Parmanu; The Pokhran ­Story, based on India’s nuclear test near Rajas­than’s desert town in 1998. This is Abraham’s second tryst with a realistic modern-day historical. In 2013, he came up with Mad­ras Café, tackling the unusual theme of Indian intervention in strife-torn Sri Lanka in the 1980s, which subsequently led to the assassination of former prime minister Rajiv Gandhi by LTTE activists. This year, The Ghazi Attack, co-produced by Karan Johar, was inspired by true events about the destru­ction of a Pakistani submarine by the Indian navy during the 1971 Bangladesh war. Film writer Vinod Anupam, however, says it would be a fallacy to believe that Bollywood has veered towards realistic cinema through historicals after junking formula films. “We as a nation are very fond of nostalgia and that is why the film industry is picking historical themes. It is also choosing less-heard stories about the struggles of the common man, but every plot still has to fit into its own old formula,” he says. Anupam says Bollywood could simultaneously make five movies on Bhagat Singh because the story contained ­‘action’, but it fights shy of making a film on Gandhi or an Ambedkar, whose lives are thought to be devoid of the twists and turns required for commercial cinema. “It takes Richard Attenborough to make a film on Gandhi’s simplicity,” he adds. The national award-winning writer further says that Bollywood has been forced to look out for real incident-based themes because the audience has started rejecting its hackneyed plots. “But it is not right to say that the film industry has dumped its template for masala flicks altogether. Bollywood is still not ready to believe that a Bareilly ki Barfi (2017) could be a hit movie. It is also yet to come up with another Queen (2014) in the past four years,” he points out.